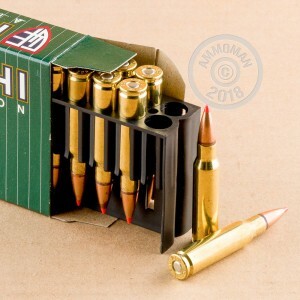 Fiocchi's Extrema line of ammunition is specifically designed with the hunter in mind. This 150 grain hollow point bullet will hit with deadly accuracy and expand with explosive power, stopping your game in it's tracks. The SST Polymer hollow point has an especially designed tip that prevents clogging and ensures proper expansion and critical stopping power. 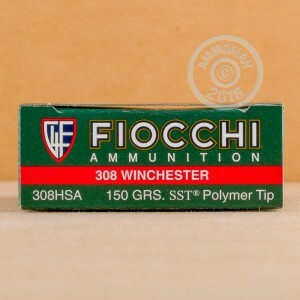 Fiocchi munitions of America has been in operation since the 1950's, building extremely respected small arms ammunition. Add a case to your cart now and enjoy free shipping on all orders over $99!